Q: I live in Arizona - how can I see your firearms? A: Arizona Firearms Tempe and Arizona Firearms Gilbert carry our firearms. Stop by one of their stores to check them out! Q: I live in Canada, how do I get your products? A: We have partnered with Aztech Armory for Canadian exports. Please email info@aztecharmory.com to place your order. Q: I am interested in the Carry Bevel Package. How much is it and what does it include? Q: I would like to add the NP3 option to my Elite LTT or PX4 Conversion. What does that include? A: The NP3 Option includes an NP3 finish on all of the metal parts in the firearm, EXCEPT for the frame, slide, and barrel. Q: Do you do work on the Beretta 8000 Cougar? A: No, we do not. There is not much that can be done to improve the trigger on that firearm. Q: Are the 92 and the PX4 Hammer Springs the same? A: Dimensionally, the hammer springs are the same and will work in the Beretta PX4, M9, 92 and 96 Series guns, however they deliver different performance. A 12# hammer spring in a 92/96/M9 would be considered a competition hammer spring, but in a PX4, it would be perfectly suitable for duty or EDC. 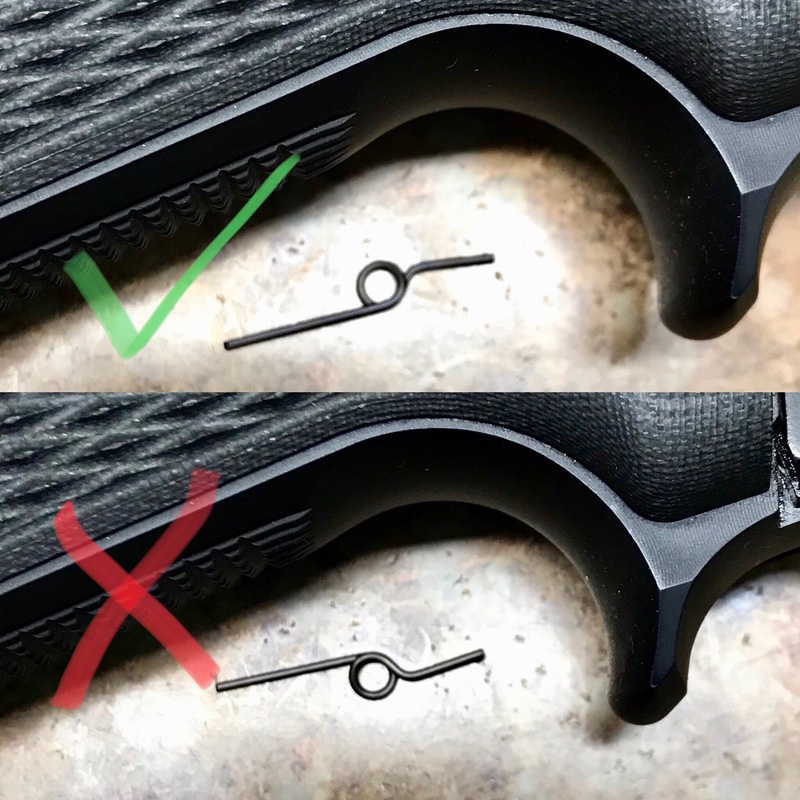 Q: Does the Elite II mag button you offer work as an extended release with the thinner grips? A: Check you sear spring. it is very likely that you installed it incorrectly. Q: What will the LTT Trigger in A Bag bring my DA/SA Pull Weight to on my 92? With the Single-Action will be between 3.5 and 4 lbs for both the 92/96 and PX4. Q: Will the Trigger in a Bag work in my Wilson Combat, my M9A1, M9A3, etc gun? A: Yes. The Trigger Job in a Bag with work with any Beretta 92, 96 and M9 models, including the 92 Compact. What holsters work with the Elite LTT? What are the height and width on the 92 Elite LTT sights? What model 92/96's will the Trigger Job in a Bag Fit? Q: What will the LTT Trigger in Bag bring my DA/SA Pull Weight to on my PX4? Q: Mr. Langdon, what gun do you prefer, the PX4, the 92, the M9A1? I am trying to make a decision and need to know which one to buy. Q: Will the PX4 Trigger Job in a Bag work in my subcompact? Q: Can I register for your Advanced Class without having taken one of your previous classes? A: No, you cannot, unless you are registering for the 3-Day Advanced Tactical Pistol Skills Course (The 3- Day covers the prerequisites for the advanced). My Tactical Pistol Skills Class is not a Basic course by any means. I often run into issues where people want to take this as their first or second class and they have a very difficult time keeping up. It is a very fast paced class where we do many drills that most consider advanced. Attending my Advanced Class is not an issue of skill or ability, it is an issue of understanding of the fundamentals of how and why I teach and train the way I do. I have a very specific theory of training that is addressed in detail in the standard Tactical Pistol Skills class and not covered at all in the Advanced Class. I have tried a few times to let people in the class that have "the skill" to attend, but they end up looking at me funny when I start talking about certain things and I have to go back and explain, which is a waste of time for the rest of the class. Q: Do you have prerequisites for your course?